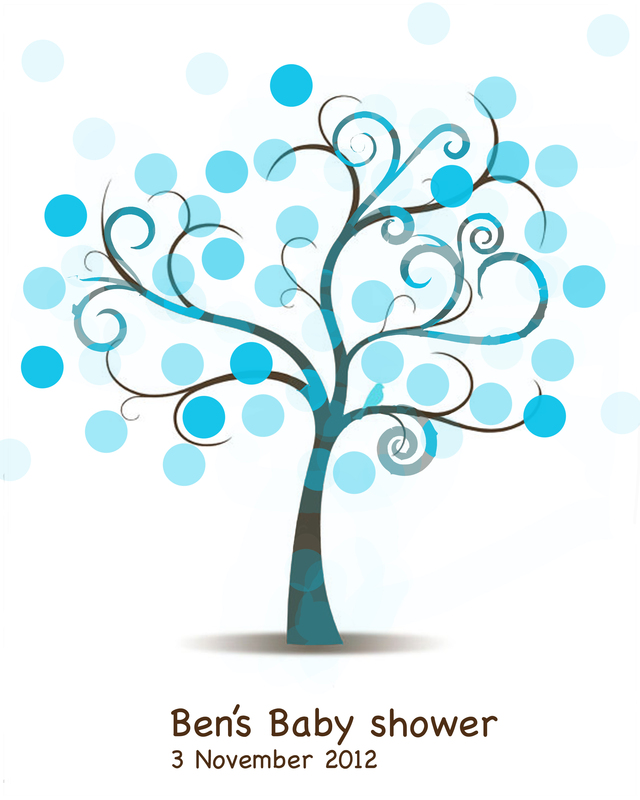 Here’s a tree I came up with for a baby shower. 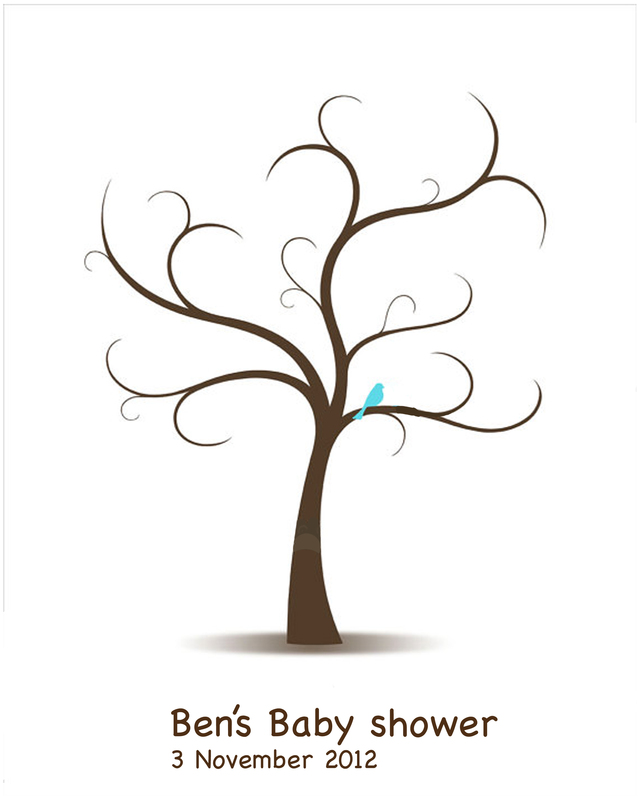 What I actually did was take two separate trees I found on the internet that I thought were cute and combined them. Then I took the circles (I was doing blue and brown for a baby boys baby shower) and made circles. What you would do is get different color pens and have people sign their names as they go to the baby shower. The best pens I found, I found at Michaels (a craft store). The pens I used for the baby shower are ZIG photo Signature. They kind of stink….but they are the bomb! No really! I think you can write on plastic, metal, even christmas card tags and the stuff instantly dries and will not smear. I love these babies! Ok, I’m calm now.. I can’t help it. It’s hard to find good pens but when I find them I’m over joyed. Back to the signature tree. It worked great. I drew a few of these in different ways. If anyone wants to use my tree let me know. I’ll be happy to send one your way. As you can see I’m a photoshop baby. You can add different dotes for different colors…you can darken or lighten dots…or you could just put what ever you wanted in the trees. Here’s a darker dot demo. Everyone loved the darker dots but due to a cat eating my print out at the baby shower we went with the first one (up above). Darn cats! Anyway hope this helps someone out. cupcakes instead of cake: Sams, Supermarkets, and people making them. ….anyway just a passing thought today. Bet someone is needing an idea for a party. Which reminds me, these ideas are good for birthday parties, anniversaries, etc. If you don’t like my tree look up other idea. There’s a lot out there. 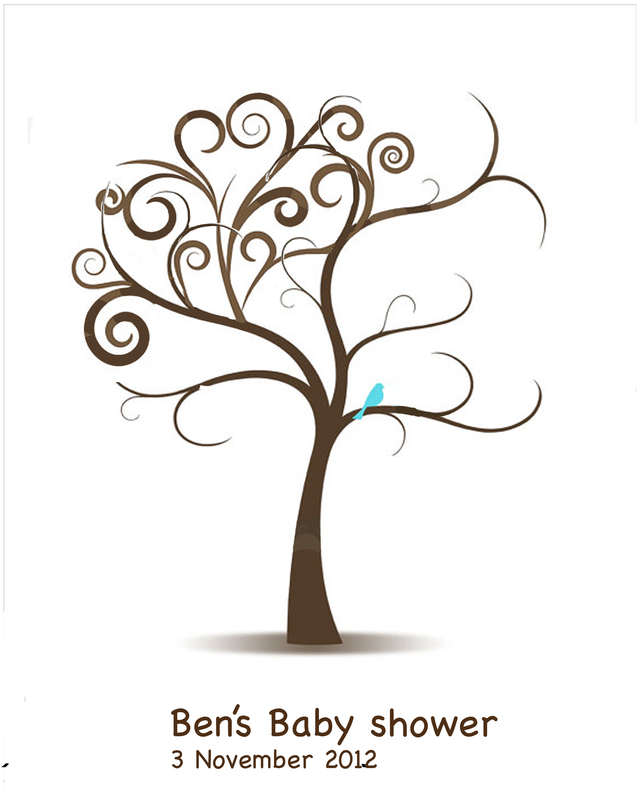 Like I stated before my tree is a combination of other trees I found and liked. I just combined them. 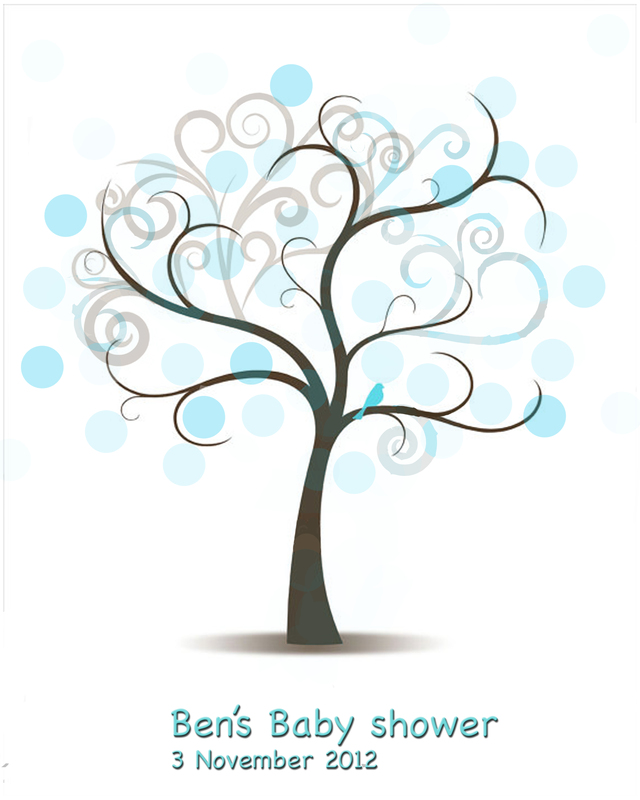 Posted in baby, baby shower, blue, boy, brown, Family history, stock market, gift, girl, humor, Illuminate, money, party, shower, signature tree, time, treeTagged baby shower, birthday, birthday party, boy, creative, gift idea, girl, paper tree, party, shower, signature, signature tree, treeBookmark the permalink.